While taking a bit of a summer break I asked my dear friend Bonnie to write a guest blog post for me. 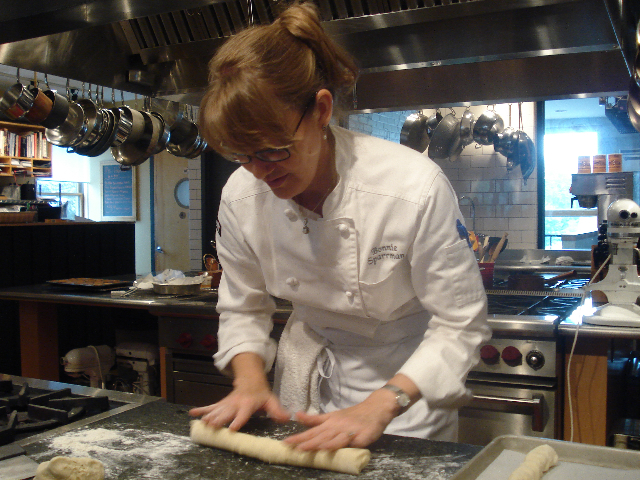 Bonnie is an all around talented writer, baker, cook and cooking teacher. She is especially knowledgeable when it comes to the Scandinavian baked goods that are part of her family's heritage (I have mentioned her fantastic cardamom bread on my blog a couple of times). As much as I admire her for all of her accomplishments, I admire her even more for the way she is able to make people feel at home in her home...Bonnie's kitchen is one of the most welcoming places I know. I don't think I have ever arrived at Bonnie's for a visit when she did not have something wonderful—and often warm from the oven—to share with me along with a nice strong cup of coffee. I was so pleased when I saw that she had written a post about a traditional Swedish treat that you will be able to share with your friends over a cup of coffee. Her skorpa look delicious (I can't wait to bake a batch) and I hope you will enjoy reading about them as much as I did. Thank you Bonnie! Scandinavian baking is what I love to do best, so when Paige asked me to post an entry on her blog I went straight to my Swedish roots and baked some skorpa. Skorpa, you may ask, what is that? 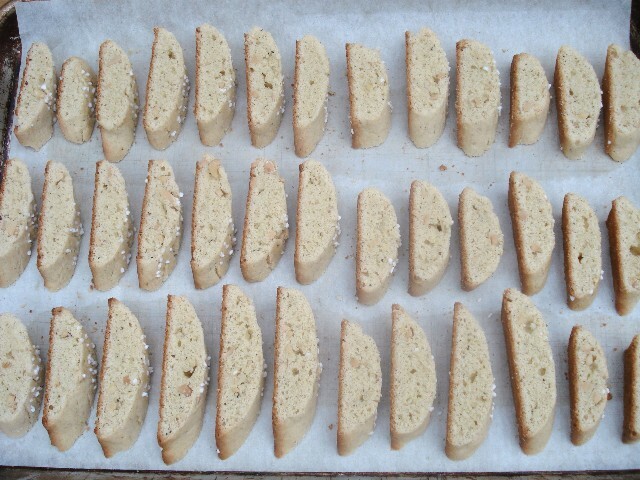 These versatile cookies are best described as Swedish Biscotti. They are not as jaw-snapping hard as their Italian cousins which often taste delicious, but require a serious drowning in coffee to prevent shattering the cookie upon taking a bite. Skorpa on the other hand are made with butter, which promotes a tender crumb; so while they are toasted in the oven to dry them to a pleasant crispiness, they remain very easy to bite. They make a wonderful complement to a strong cup of coffee or cappuccino, which is of course the only way a true Swede would eat them. My mormor, (mother’s mother), usually had a tin of these in her kitchen, where they stayed fresh for a long time kept in an airtight container. At least that’s what she said; they didn’t survive long when us grandchildren arrived and sniffed out mormor’s cache of skorpa! Oh how we loved them, and what happy young coffee drinkers we all became. 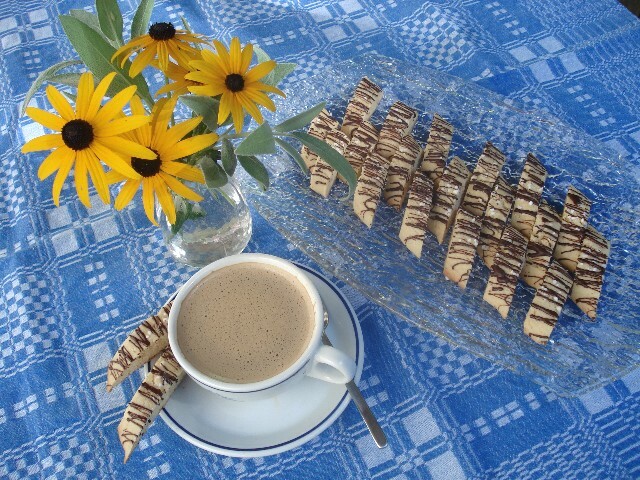 The recipe that I’m sharing with you is for Cardamom Almond Skorpa. Cardamom and almond are two classic flavors in Scandinavia, but you could certainly adapt this recipe to include your own flavor or nut of choice. Pecans and orange zest make a nice combination, as do walnuts and bits of dried cherries. The way they are finished may vary too. 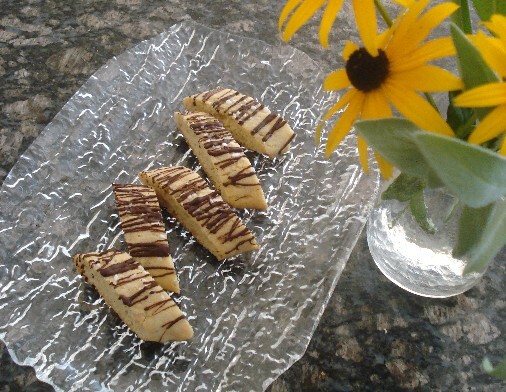 If I’m in a hurry, my skorpa have plain tops, but for special occasions I dress them up with Swedish pearl sugar, turbinado sugar, chopped nuts, or even drizzled with chocolate. 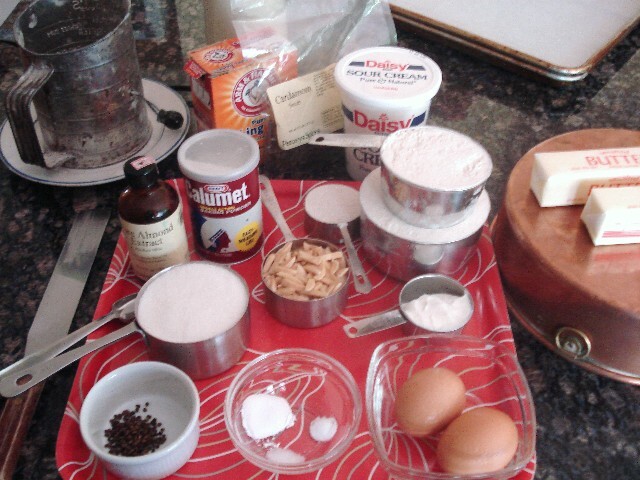 When baking, I find it easiest to gather all of the ingredients and equipment before mixing anything. The almonds have been lightly toasted and the butter is best at room temperature. Because I didn’t remove it from the refrigerator early enough, it is sitting on an old copper cake pan. Copper is the best conductor of heat and will bring the butter to the perfect consistency (soft, so it will take a thumbprint, but not oozing) very quickly. Cardamom is the wonderfully aromatic spice that the Vikings so kindly delivered from India to Scandinavia, where it has been loved in baked goods ever after. It is important to purchase cardamom in the correct form, which is as whole seeds that have been removed from their pods (called decorticated cardamom)—I purchase mine at Penzey’s. 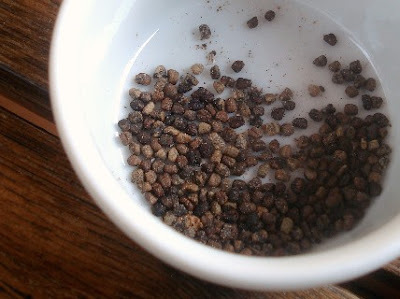 Using a spice mill, a coffee-free coffee grinder or a mortar and pestle, the cardamom should be ground to about the consistency of a fine grind of coffee beans, as you might use for espresso. Don’t worry if some slightly bigger chunks remain in your cardamom; chomping on a piece is a delicious bonus. Keep in mind that already-ground cardamom is too finely ground, giving your baked goods a grayish color, and very little flavor. Cardamom ground in a home coffee grinder. A few slightly larger pieces remain. Serving strong coffee with skorpa is part of the “Fika” culture in Sweden, which refers to everything from taking a coffee break from work, to gathering with friends for coffee and an elaborate spread of baked treats. 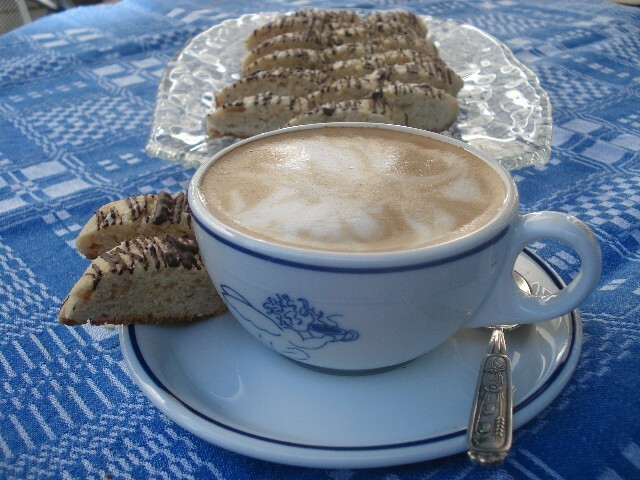 Fika is an important word that became part of the Swedish vocabulary in the 19th Century. It is derived from taking the sounds of the word for coffee, caffe, and reversing them. The word fika is both a noun and a verb. One might say, “You are invited for fika,” (noun), or “now we will fika.”(verb). 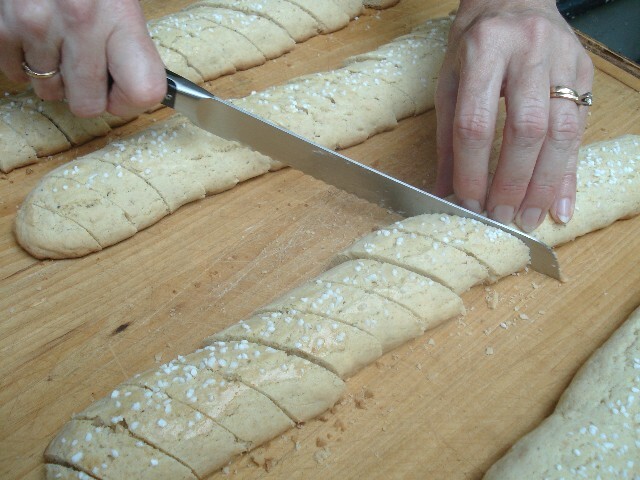 With your lovely batch of skorpa baked, you will be ready for a lovely fika. It is wise to keep a tin of skorpa in your freezer at all times, because you never know when a friend may stop by and an impromptu fika may need to happen. Preheat oven to 350 degrees. If your almonds are not already toasted, lay the chopped nuts on a baking sheet and place in oven until they are lightly golden. Cool. Cream butter and sugar together in a stand mixer. Add eggs one at a time. Add sour cream, almond extract and cardamom. Add chopped almonds. 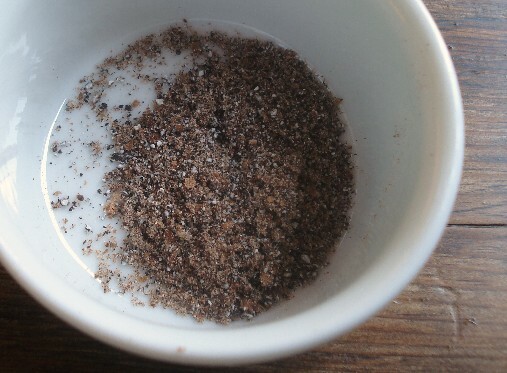 Sift dry ingredients together and add. 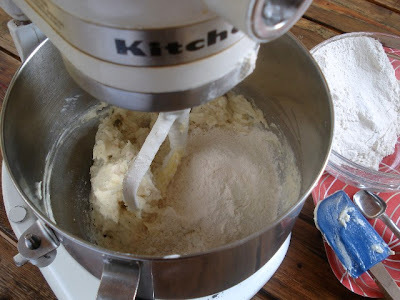 Mix together on lowest speed just until the dough is uniform. 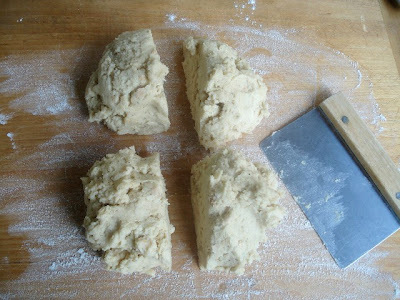 Remove dough from bowl and divide into four portions. 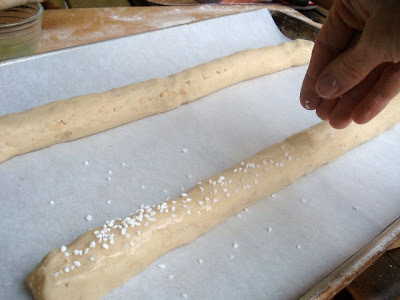 Form each portion into a roll the length of a 12 x 16 inch baking sheet, and place two rolls lengthwise on each pan. You will have two pans with two rolls on each. Brush each roll of dough with egg white and sprinkle with pearl sugar. Bake at 350 degrees for 20 minutes, rotating pans half way through baking. When cookies are baked remove from oven and decrease oven temperature to 300 degrees. Slice cookies diagonally cross-wise every half-inch while still warm. 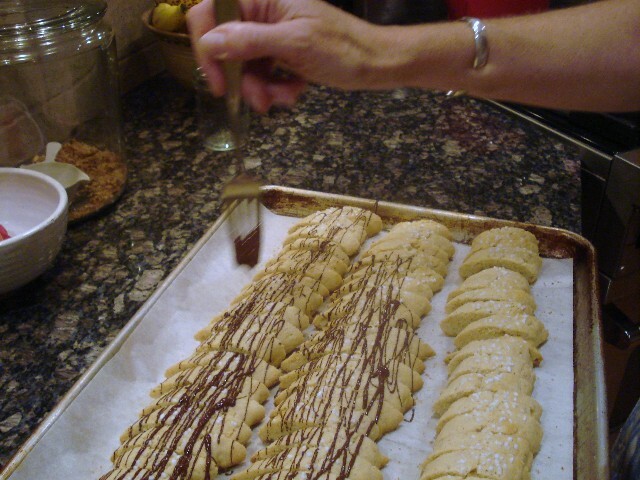 Arrange cookies on the baking sheet on their sides. Toast in oven for about 7 minutes. Flip cookies over, and toast again on the other side. When cool, store in an air-tight container. If you desire your cookies to have chocolate drizzled on top, carefully melt chocolate in a small bowl over a pan of hot water, being very careful to not get any water or steam into the chocolate. Set the cookies in rows so they are close to each other. 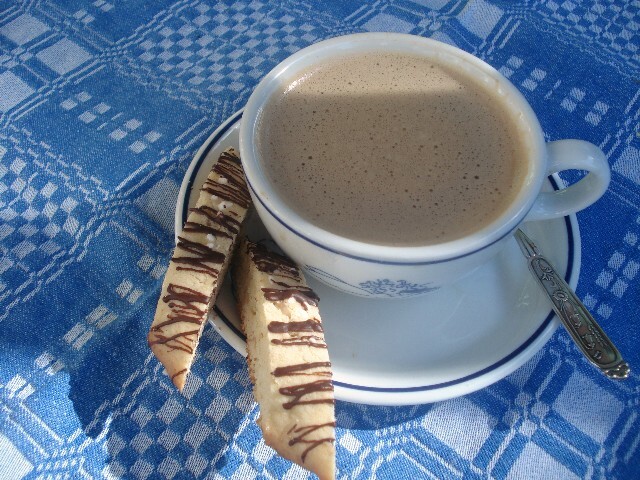 Using a fork, drizzle thin lines of chocolate back and forth over the tops of the skorpa. Separate the cookies from each other, and allow the chocolate to cool and solidify. Well what a beautiful blog post this is!!! Miss Bonnie and it's so good to see her in the photo. Delightful!!! P.S. That coffee looks SO GOOD!!!! What a wonderful post! Well done Paige and Bonnie. 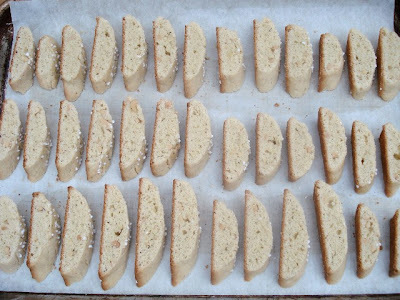 I love biscotti and this would be fun to try sometime, because I have also discovered that I love cardamom over the last few years. Love all the photos! The photos make it look so easy! Swedish fika is a wonderful tradition. I've been looking for a good cardamom skorpa since Mom died and her recipe vanished. I'll try this one immediately. Thanks for sharing. This is a wonderful guest post by Bonnie! I hope she'll do another one - perhaps with the subject of her Cardomom bread? This is my favorite blog and where I find wonderful recipes and tips. Thank you, Paige! Thank you! I'll see if I can talk her into another post...I would love that too.